and mission-driven FOLKS in the fiber community. Garn Surr is a new enterprise which dyes knit yarn as an integration project for refugee women. After several refugees moved to her town in Numedal, Norway, founder, Ann Helen wanted to make their lives enjoyable while also creating jobs for them that contribute to society and help them become integrated in the Norwegian culture and customs. 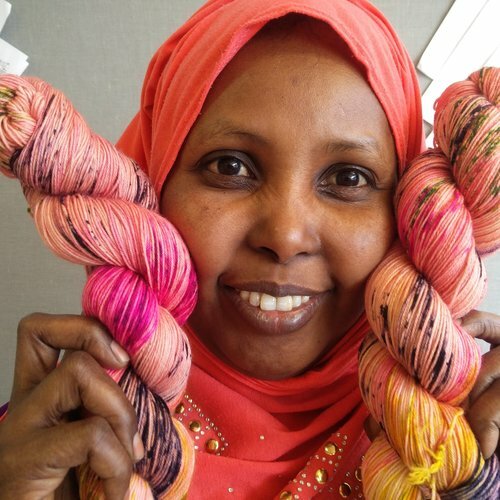 Garnsurr believes that colourful women will make colorful yarn! We couldn't agree more. Jump to the shop to see Garn Surr yarn.